The Birkbeck Student Geological Society (BSGS) is at the heart of the Department of Earth and Planetary Sciences, Malet Street. It is dedicated to those studying and undertaking extensive environmental research, and the society organises a vast array of field trips, lectures, social nights and committee meetings throughout the year. Dr Simon Drake has led a successful field trip to Ramsgate, where the BSGS explored the chalk tunnels built during WWII, taking in the view of the local environment around Ramsgate Harbour, Pegwell Bay, the Cretaceous Tertiary (known as the K-T boundary) and Monkton Wildlife Reserve. International visits have included a trip to Tenerife in December 2015, where students examined the powerful impact of local volcanoes, and the block and ash deposits that are produced throughout the Tajao region. The group undertook a trip to Cuevas Negras, Las Canadas, and Teide, examining obsidian flows, lava and phreatomagnetic sequences. BSGS lectures have included talks on the East Antarctic ice sheets, and the Earthquakes and Geohazards in Northern Italy. Talks have been led by Professor Gerald Roberts (Birkbeck College), with contributions from Dr Tina Van der Fleidt (Imperial College) and Dr Chiara Petrone (The Natural History Museum). The society recently went on a field trip to Cornwall between 10-12 June 2016, which was organised by MSc Geochemistry Professor Karen Hudson-Edwards and post-doctoral research assistant David Kossof. 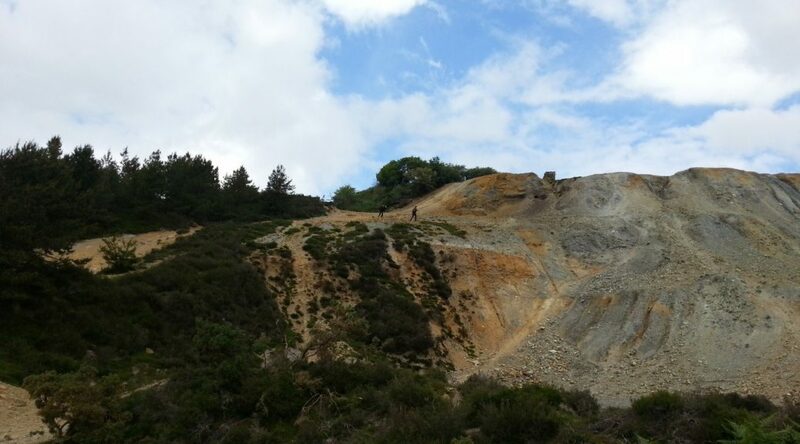 The trip allowed students to explore the old tin mines and china clay pits of the 19th century Wheal Maid trail, where dams have managed the ongoing issue of pollution from the Wheal Jane mine. The trail forms an essential part of the Cornwall and West Devon Mining Landscape World Heritage Site. The mine has provided a rich source for tin, copper, zinc, silver and arsenic over the last two hundred years, although it officially closed in 1985 when the world tin price collapsed, and the groundwater levels rose, washing over the exposed rock faces. The society also visited The Wheal Martyn Heritage Museum in the Ruddle Valley in St Austell. The major constituent of china clay (kaolin), it was discovered by Quaker minister and pharmacist William Cooksworthy in 1746. By 1910, half the world’s china clay was produced from St Austell deposits, which now accounts for approximately 120 million tonnes of china clay used in dye, cosmetics, paints, porcelain and paper-making. The society enjoyed the major exhibitions which provided an in-depth analysis of how production methods have changed considerably over the centuries as one of Cornwall’s major industries. The BSGS held a follow-up workshop on the weekend of the 18th June to evaluate the former mining sites and to assess possible remediation. Professor Hudson-Edwards discussed the society’s field observations and recordings, and David Kossof produced Cornish mineral samples from the Department of Earth and Planetary Science mineral stores. It was determined that the preservation of the Wheal Maid had suffered from a lack of funding (the site is owned by the local parish council). Also, being a world heritage site, it is severely affected by changes to the environment. The society agreed that certain measures had to be implemented including prominent signs on toxic hazards, increased fencing, a ban on motorbikes and trail bikes, and better awareness of the hazards around the site. The 2016 BSGS committee consists of Liz Pedley (marketing), Kirsty Harrington & Ben Dixon (membership and events planning) and Felicity Benson (finance). Friday lectures take place in Malet Street Room 612, and the committee holds meetings in The George Bar. The annual membership fee stands at £9, but talks are free for members of the public to attend. Lynsey Ford is an alumnus of Birkbeck College, with a BA in Film and Media. She contributed to Lamp and Owl throughout her studies, and was Managing Editor in her final year. Lynsey is interested in film history, literature and theatre.